The XMark Olympic shrug bar with raised handles is a must for anyone looking to build mass and strength in the traps and legs. The raised handles of the XM-3686 allows for easier pick up from the ground and reduces the strain on your hands and back as you perform deadlifts, squats, etc. Constructed of solid steel and finished with long lasting polished chrome, the XM-3686 has a 400 lb. weight capacity. 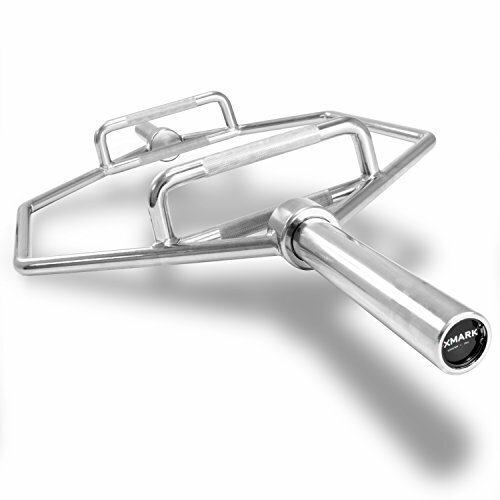 This highly versatile piece of equipment features shoulder width, parallel handles with a non-slip knurled grip. Perform with a greater range of muscle contraction and development with XMark, the mark of excellence.